Would you buy a $2000 BlackBerry? Would you pay over $2000 for a BlackBerry smartphone? What if it was specially designed by the same people that make German sports cars? Well, Porsche Design hopes you will. The luxury brand and design firm, which is owned by the German automaker, has released its latest high-end Blackberry model, the new look P’9981 Smartphone from BlackBerry. In a release, Porsche boasts of the phone’s minimalist design, with an all-black look and high-quality materials that include a stainless steel frame encased in black plastic with a hand-wrapped leather backing. 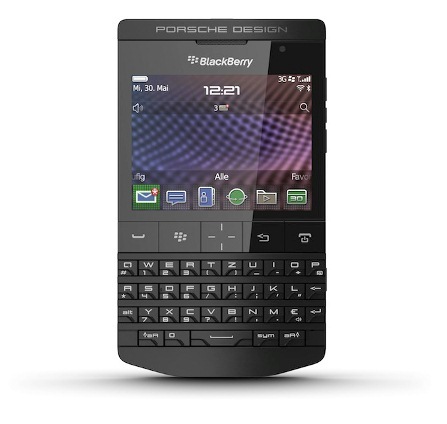 Additional highlights include a special black QWERTY keyboard and a crystal-clear touch-screen display. The user interface has also been customized, and users get an exclusive, premium Blackberry Messenger PIN. It’s the second generation of the P’9981 from Porsche. The first model was won the Plus X Award last year for Smartphone of the year for 2012. The new model is powered by a 1.2GHz processor with 8GB of RAM and a 16GB micro SD card. It also boasts a special web browser and a Liquid Graphics display. The new model will retail exclusively at Porsche Design Stores worldwide. In Canada, it will only be available at the Porsche Design Toronto, with a $2050 price tag.